Butter, cheese, and other sources of saturated fat were found to increase risk for type 2 diabetes. The articles that say, for example, “Butter Is Back” are produced, at their source, by the meat, dairy, and egg industries – that is, the fat industries. It is their form of marketing. That doesn’t mean science doesn’t continue to show that eating butter and other saturated fats is unhealthful; it just means industry has a better marketing apparatus. This is a prospective study of 3,349 people who took part in PREDIMED (the famous Mediterranen Diet study), follow-up at about 4.3 years. In both the Mediterranean diet and control groups, participants in the highest quartile of updated animal fat intake had an ∼2-fold higher risk of type 2 diabetes (T2D) than their counterparts in the lowest quartile. The consumption of 1 serving of butter and cheese was associated with a higher risk of diabetes. Did you see that? 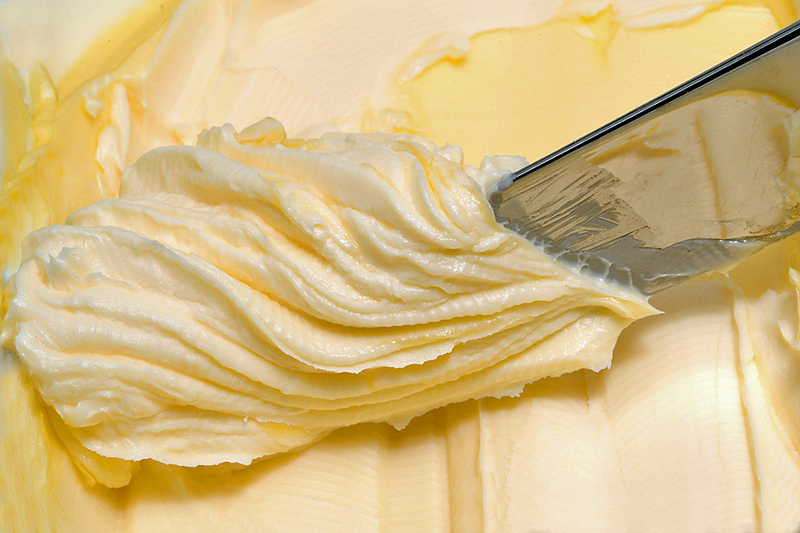 One serving of butter a day significantly increases your risk for diabetes? Butter is back? People who ate the most animal fat had 2 times the risk for diabetes than people who ate the least. Per each 5% increase in energy from SFA [saturated fat] intake, the risk of type 2 diabetes increased substantially. The main contributors of the animal sources of SFA intake in our population were cheese (22.9%), red meat (17.6%), and processed meat (8.0%), followed by eggs and other dairy products (ranging from 1% to 5% of the animal SFA intake). I also want to point out that people in the Mediterranean Diet group, which emphasized olive oil and nuts, also had an increased risk for diabetes if they increased their animal fat intake (that’s what “statified by intervention group” means). It is also worth noting that we found that total animal fat intake was associated with a higher risk of T2D in the total population but also when stratified by intervention group. In this sense, our results support the current dietary recommendations that favor plant-based fat diets over animal fats. This is why I don’t like the Mediterranean Diet. All those nuts and olive oil and vegetables don’t protect against disease. What does protect against disease is reducing meat, dairy, and eggs. But you won’t hear the government saying that because industry influence is too strong. Greater SFA content of membrane phospholipids in creases insulin resistance (41). Moreover, increased serum SFAs have been shown to be associated with insulin resistance. This entry was posted in Uncategorized on July 24, 2017 by Bix.